Maintain or re-turf your Lawn! Looking for someone to do your grass cutting or lawn weeding? Well you have come to the right place. Our gardeners provide a lot of different service for your lawn. Our gardeners offer services ranging from lawn mowing to rotavating and seeding your lawn or replacing it completely by laying turf. Whatever you are looking for our gardeners are happy to help and provide you with a free quote. Get the lawn you want faster by having a professional gardener maintain your back garden, safe time and money finding a local lawn specialist now by completing our form. Creating a new lawn is easy if you plan ahead, pick the right time of year and prepare the site properly. Turf will establish quickly on soil that is warm and moist, autumn is probably the perfect time for new turf as it will be regularly watered by the winter rain. Turf can also be laid in spring but would need frequent watering if the summer is dry to prevent the grass from being put under stress. 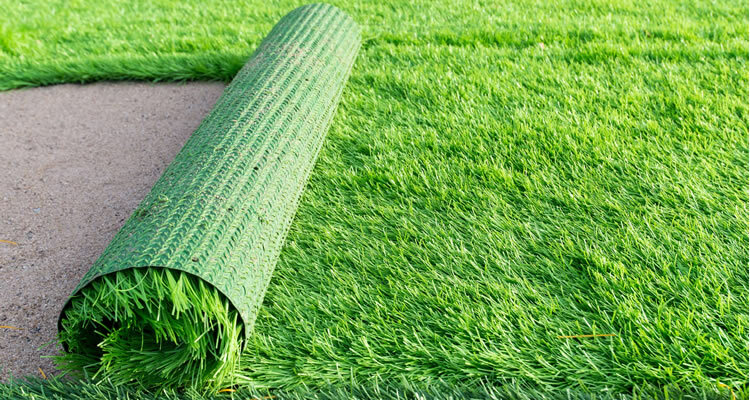 Standard pieces of turf available cover around one square meter and can be delivered direct to your door. The best quality turf is raised from seed and available in several grades for different gardens and situations. For example standard domestic turf is very hard wearing, while fine turf is more suitable for a showcase project. For areas of low rainfall, there is also dry drought-tolerant turf available. If turfing yourself, then when the turf arrives, stack it in a shady spot and sprinkle with water if it appears to be drying out. Lay the turf as soon as possible, if laying is delayed for any reason, open the rolls and water. Prepare the soil by skimming off any old grass then leveling by raking to a fine finish. Then sprinkle using a granular fertiliser and water well. Lay along a straight edge unrolling turf carefully to avoid damaging. Once laid soak thoroughly with water. After the turf is in place, try not to walk on it until for several weeks until it has rooted into the soil. Starting a lawn from seed is less expensive than buying turf in a roll ready to lay, so is the cheapest way to transform your garden with a new lawn. The best time to start lawns from seed is just prior to the grass's season of most vigorous growth. The best season will depend on the type of grass, but Spring is most common. If seeding yourself, then you need to ensure soil is ready and the ground is level, you also need to ensure you have a watering system in place, even if just a watering can. You can then spread the seed using a spreader rate or sowing seed by hand. Use a starter fertiliser high in the nutrient phosphorous and apply a very thin layer. Then do the first watering, making sure that you apply enough water to wet the soil down to a depth of at around 8 inches. Tale care to apply the water gently so you don't wash the seed away or leave puddles, best to water several times in intervals until thoroughly wet, then sprinkle lightly with a hose or can several times a day, but don't overdo it or the seed will rot. In the early stages you should take precautions to keep kids and dogs off your newly seeded lawn.